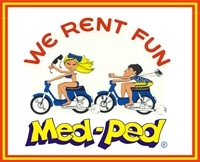 The owners of the company are planning their professional retirement after more than 40 years of successful renting Mopeds and Scooters to tourism in the Mediterranean Sunny Island of Mallorca - Spain. This tourist resort accommodates more than 40,000 tourist beds in the municipality of Calvia. 9 Adjoining Commercial Pemises for Rental Offices, Workshop and Garages with a total of 400 square meters, next to an open service area of ​​600 square meters for private use. Planning retirement of the owners. They are the married couple Anette and Pablo.